Staples didn’t need to get it back on Friday at the Wellmont; she brought it. 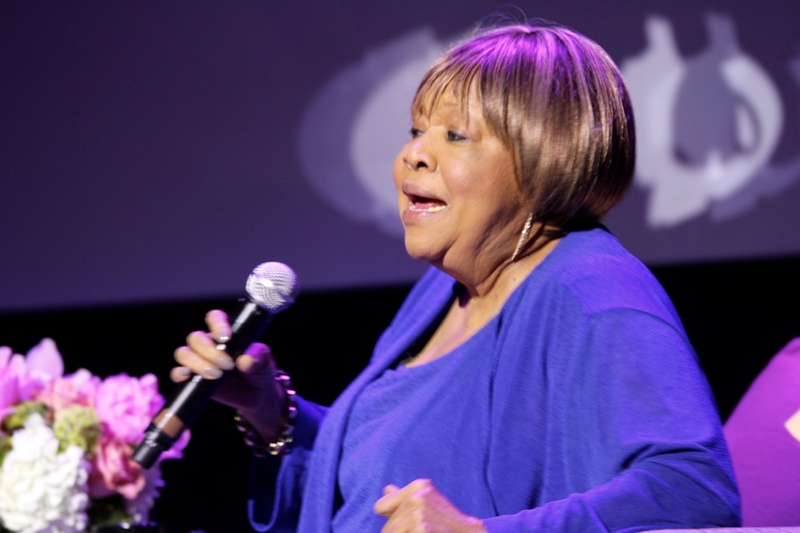 After cheering her performances on screen during the documentary, Mavis!, the MFF audience gave her a minute long standing ovation. 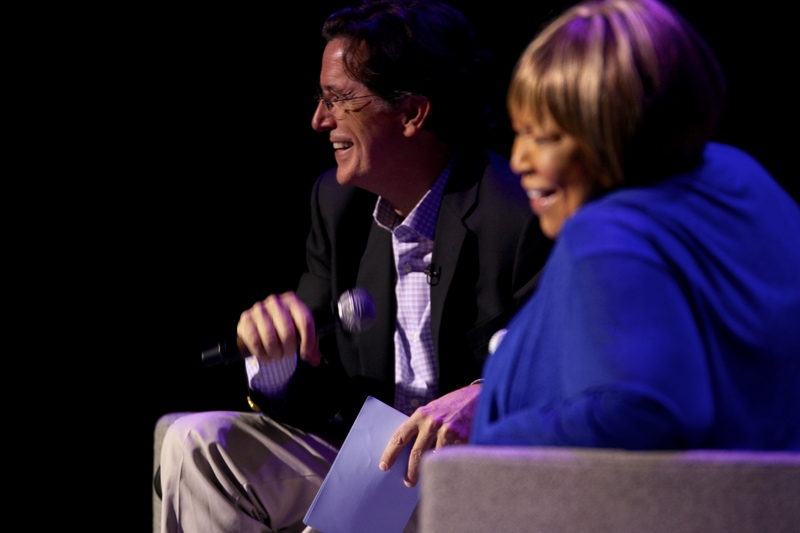 She and Colbert then jumped right into a lively, crowd-pleasing banter. Through interviews and performances, Director Jessica Edwards created a tribute to the master of soul, R&B, jazz, gospel, rock and blues. Mavis! tells the story of the Staples’ tightly woven family and their progression singing gospel for congregations and then follows their evolution through multiple generations of music. On screen, music industry heavyweights such as Bob Dylan and Bonnie Raitt praise the Staples’ influence and Mavis’ transformative voice. And everybody loved ‘Pops’ Staples. Even Dr. Martin Luther King, Jr.
Today, Mavis carries his inspirational spirit in her voice and his familial love in her heart, “Pops taught me that the family unit is the strongest unit in the world.” These are not just words to her; older sister Yvonne always travels with her. 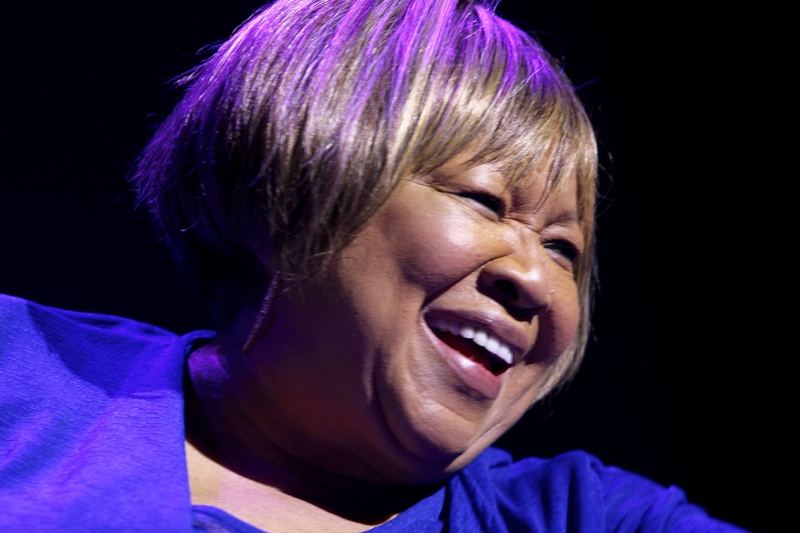 Moreover, Mavis has expanded the definition of family to include her band and dear friends. She holds a similar sentiment for Wilco’s Tweedy as he has become a close collaborator in her renewed solo career. 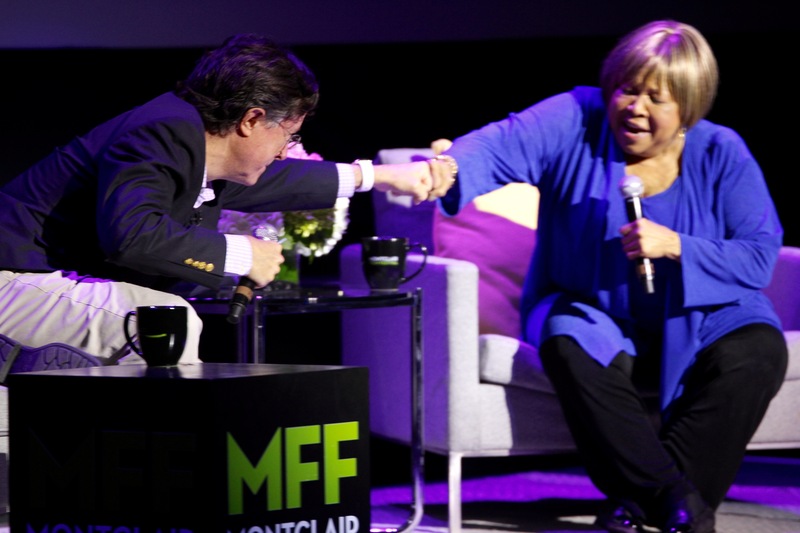 Stephen Colbert warmly welcomed Mavis Staples into their conversation by simply thanking her “for being.” Having worked together in the past, there was an easy affection between Staples and her “friend and brother.” Over the hour, they fluidly transitioned from serious themes to cracking each other up to an impromptu duet of Fats Domino’s “I’m Walking”. It’s Still the ’60s . . .
See more information about the Montclair Film Festival and all its great events at the Montclair Film Festival page. View more photos at the MontclairFilmFest Flickr. View posts from 2014 here.